A new take on wind energy is starting to emerge and it could fill the sails of wind power backers. Traditional wind energy relies on turbines to create power from wind, but a new group of companies is increasingly looking at variations on an old children’s toy to generate power; the kite. The main question is - Could kites hold the key to cleaner, cheaper energy? Kite-based wind power is a radical innovation in wind energy generation. It represents an opportunity to save money, and decrease power costs by rethinking the wind energy supply chain. Traditional wind turbines have to be installed offshore using expensive boats and massive amounts of steel and concrete to secure the tower. Kite wind power in contrast is likely to be much less costly to install. 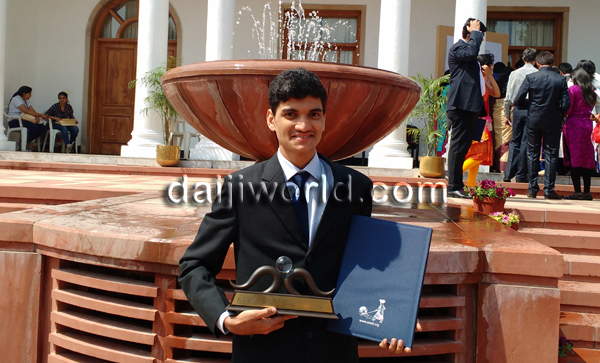 A 22 year old student Roystan Vijay Castelino from the Karkala’s Srinivas Institute of Technolgy has done the city and his hometown proud by winning the national Gandhian Young Technological Innovation Award, for his project on producing high-altitude wind energy using a kite, which he claims to be a revolution in the field of renewable energy. His kite works on the principle of converting kinetic energy (pulling force) to rotational motion. The award was presented on March 13 in a ceremony held at the Rashtrapati Bhavan, New Delhi, by Dr R A Mashelkar, FRS, chairperson, National Innovation Foundation-India (NIF) in the MLM (More from Less for Many) category. 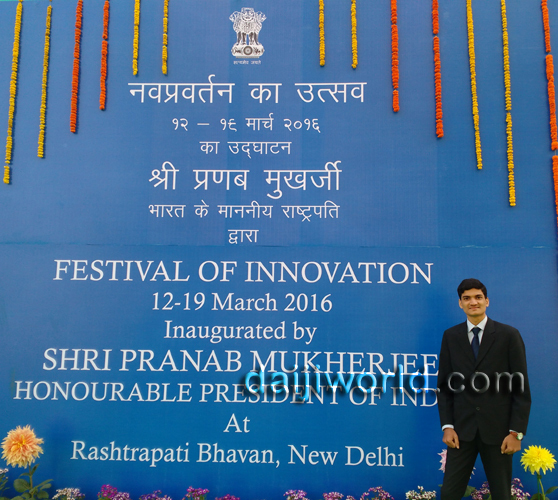 The event had been inaugurated by President of India Pranab Mukherjee on March 12. Out of 2,363 nominations, 43 projects were selected from different fields, as reported by Daiji World. Roystan Castelino, son of Marcel and Agnes Castelino from Nakre village of Karkala, did his schooling in Kannada medium schools in Nakre. He then did his PU studies at St Aloysius PU College, and joined Srinivas Institute of Technology, Valachil to pursue engineering. He says that the project was undertaken in 2015 as part of his final year BE (electrical and electronics engineering) under the guidance of Prof Lokesh B. The objective was to increase efficiency of wind-power generation, make it more economical, and help in rural electrification. Under the existing wind power system, trees are often cut and windmills have an impact on the ecology. Roystan wanted to find an alternative solution which could be both economical and environment-friendly, and one fine day, when he was at the beach, he stumbled upon idea when he saw a man controlling a kite. Wind energy using a kite works on the principle of converting kinetic energy (pulling force) to rotational motion. With an increase in altitude, wind increases and this can generate more power compared to traditional wind turbines. This is trapped in a power kite and harvesting of energy is possible even at inaccessible locations such as offshore and elevated areas and at lesser installation costs. The four-line power or parafoil kite was ordered from China and materials used for the project were bicycle parts, crank wheels (which formed the chain drive) and bicycle sprockets. The generator is made by modifying the ceiling fan with permanent magnets. Threads are wound over the rims of the bicycle for easy control. Wireless transmitter/receiver circuit controls the motor for handling of the kite and for winding back the thread. Chain drive is used to increase the speed economically. Using a figure 8 shape in the sky, energy is maximised and then stored in the battery in power phase, while in recovery phase, 17 W of energy is spent for winding and controlling the thread. The project was tested using a 4.5 msq kite on the beach, where the wind speed was approximately 10 m/s. During this test, the power output obtained was 300 W.
Castelino's idea won the Project of the Year Award by the Karnataka State Council for Science and Technology contest conducted by the Indian Institute of Science, Bengaluru last year. 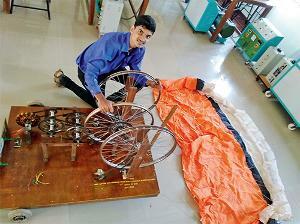 He has applied for a patent for his invention and wants to call it Winds of Change. Tidal, wind and solar renewable energies are the few greatest gift of the nature to all of us. Still the researchers are struggling to completely make use of it because of their unsteady existence in nature. Kite will fly so nicely during the steady wind. But most of the time there won’t be enough wind in the night to keep the kite flying also it keeps changing its direction. It is a challenge to use kite in this circumstance and get the required constant energy output, all the time. Any way he has taken this challenge, continue to make his project overcome all this problems, it will be great gift to this world in the form of green energy.